Hello Ladies! If you follow me on twitter you've probably seen me mention this mask at least once since I bought it, and with good reason - it's truly a miracle worker! Since I was 11 I've suffered with acne, in recent years it has calmed down drastically but I do still get break outs and I always have at least 1 spot in my face. In an effort to sort this out, I've recently been changing up my skincare in order to beat the break outs and controll oil and the REN mask was one of the first things I bought. I've heard so many bloggers talking about how brilliant this mask, and the Origins one is so I thought I would try it out. 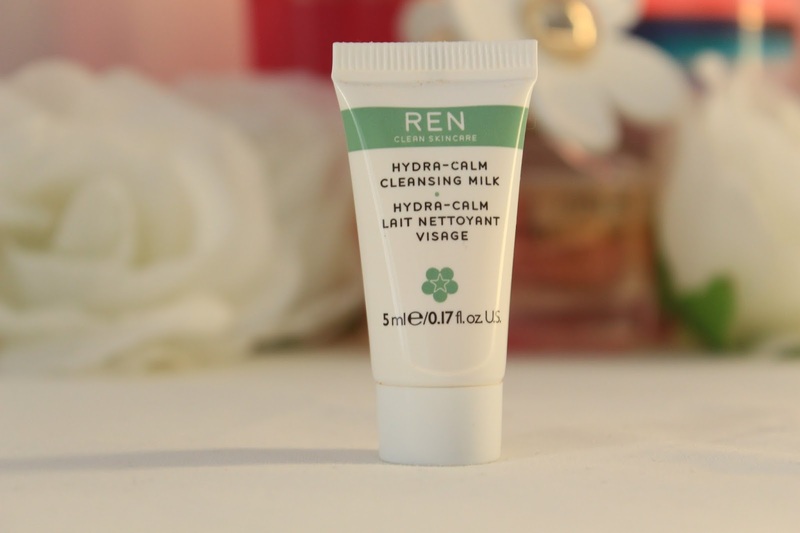 The thing that attracted me to REN was their 'clean skincare' message. 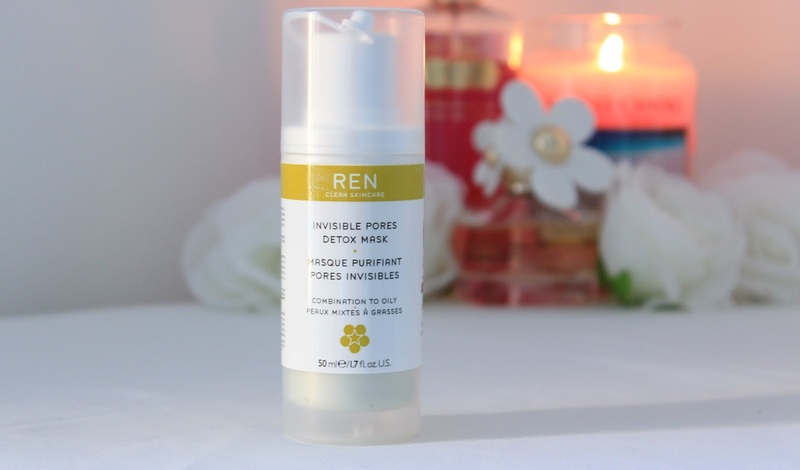 My skin can react to a lot of skin products so the fact that no REN products contain any parabens, sulphates, mineral oil, petrolium and synthetic fragrance and colours appealed to me. 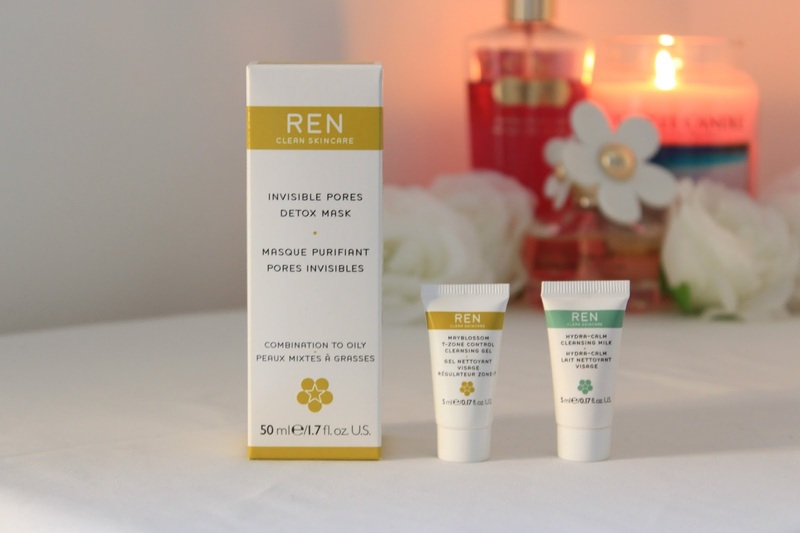 For the most part, my skin works best with products which are made from natural ingredients so there was no worries about this when ordering from REN. 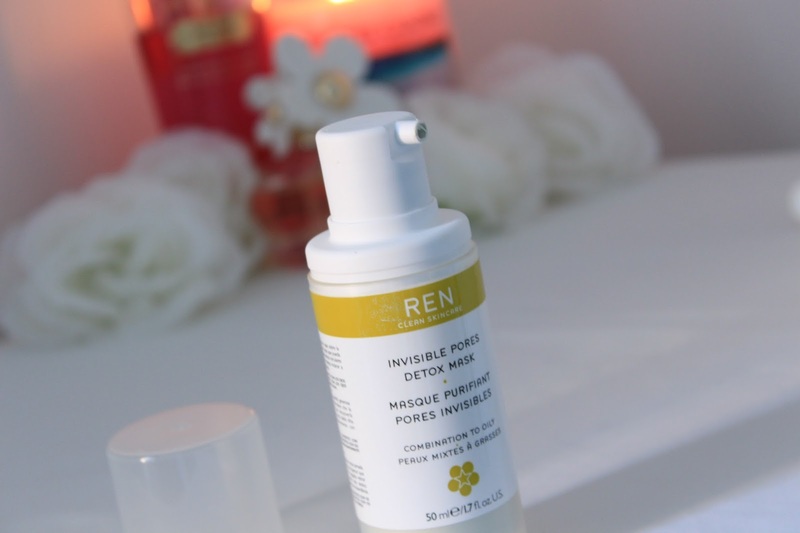 The REN Invisible Pores mask contains minerals from French Clay to help draw out impurities and eliminate dead skin cells, proteins from Tropical Spirulina to restructure and encourage skin renewal, and essential fatty acids from Red Tea to leave the skin soft and make imperfections less visible. I apply about one pump of this all over my face and then leave to set. It usually sets in around 10 mins but I like to leave it on for about 40 while I'm watching TV so that it has a proper chance to work. This mask is also really easy to wash off and melts away as soon as you add warm water. I've been so impressed with this mask, even from the first application my skin has appeared smoother and my break outs are under controll. After Christmas my skin was in serious trouble and this mask was the only thing which completely cleared it up with just one use. It leaves my skin clearer than it has ever been and smoother than it's ever been - it's truly a miracle worker. I'd even go as far as saying that this is the best skincare product that I have ever used, and trust me, I've tried a lot! I seriously can't sing it's praises enough and will definitely be repurchasing it as soon as it starts running low. The mask is for combination to oily skin, and often my skin is very dry but I haven't found it to be particularly drying. As long as you moisturize afterwards, it's fine. When you order from the REN website you also get to pick two samples to try which I think is a great idea and way to try new products before you buy. 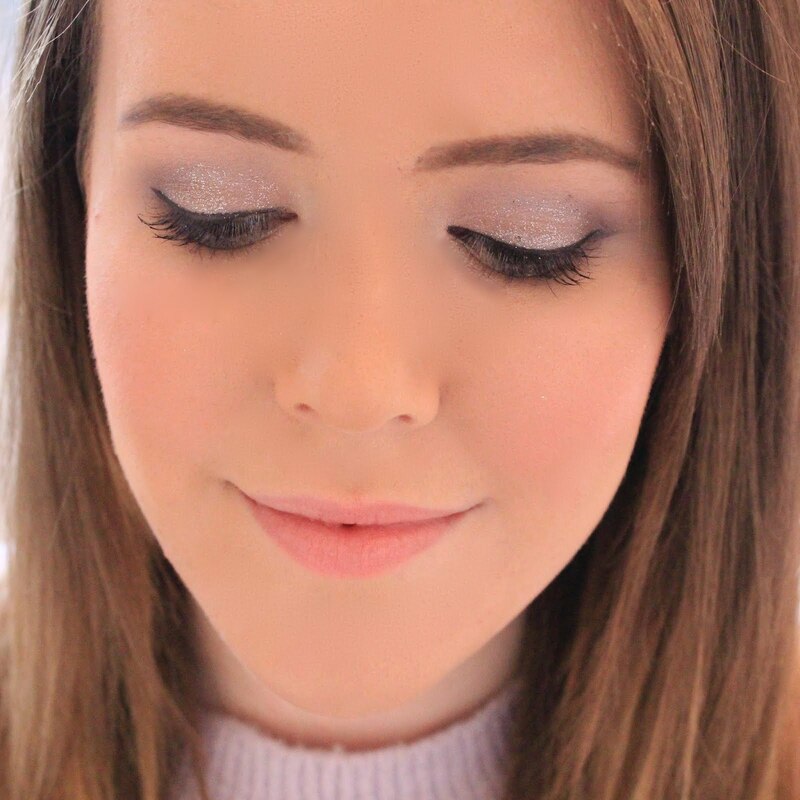 I picked the Mayblossom T-Zone Clearing Gel as it was from the same range as the mask so I thought that they would work well together, and I was right. I really liked the consistency of the gel cleanser and it did help to clear up any left over blemishes. Obviously I haven't been able to try it long enough to give a proper review as the sample is only small but I did like it and if I wasn't so happy with my current cleanser then I would think about buying the full size. I also picked the Hydra Calm Cleansing Milk which is a milky cleanser that I've been using in the mornings. I think this cleanser would be particularly good for those of you with sensitive skin as it doesn't irritate your skin and isn't too harsh. I like to use this to cleanse in the mornings when my skin isn't too dirty but I wouldn't really use this to take off my make up as I prefer gel or foam cleansers for that. This mask sounds really wonderful! Ah I really wanna try this mask! This mask is really amazing! I find it dries out my skin a bit too much, but I just put on a moisturizer and it's all set! I just tried Origins charcoal mask, and think that I need to give this one a try too. This is the next clarifying mask on my wishlist. 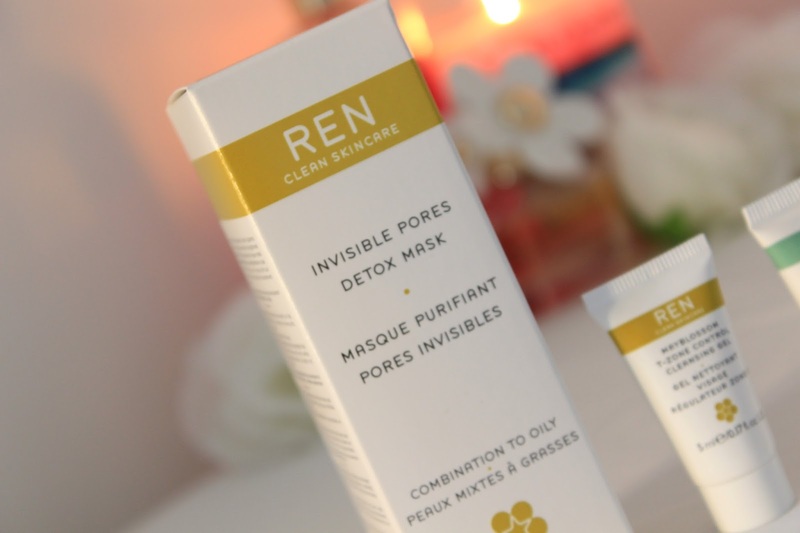 It sounds lovely and I haven't tried REN products before. Definitely something I'm excited to try! I've always been intrigued by this mask so thanks for the great review.